We remove, destruct and pick up all your office files, binders, boxes, bins, CD's, computer disk and much more. 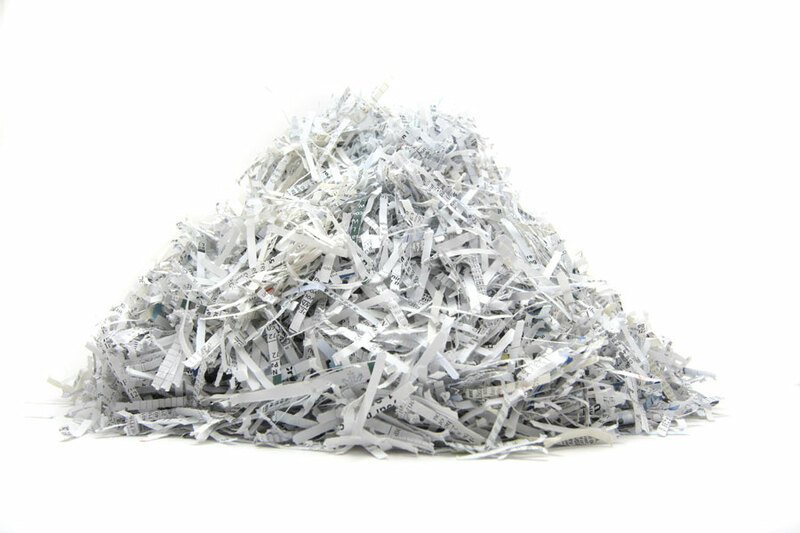 Request a quote with Complete Shredding Services. Complete Shredding Services is a Mobile Shredding Business that Shreds Private, Office & Commercial Confidential Documents while doing this at your place of Business. This can be small home business to a large corporation. 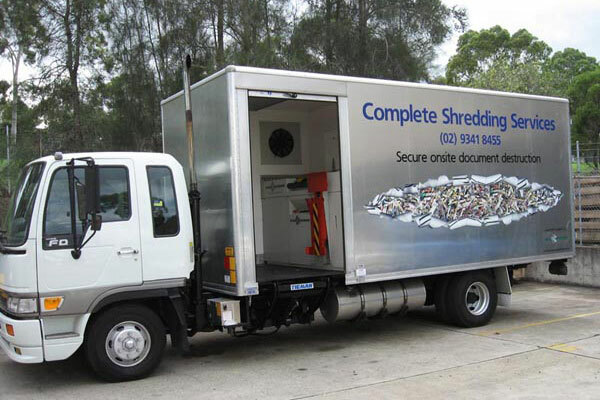 We will drive to your place of business (Greater Sydney from Mona Vale, Hornsby to Penrith & to Sutherland & all areas back to the CBD), pick-up the confidential documents (security bins or archive boxes) & then return to the truck so the confidential documents can be shredded Straight away while staying at your place of business. That’s why Complete Shredding Services has purchased state-of-the-art equipment to do a job, only one job that is – Secure on-site document Destruction – No fuss, no mess & nothing left behind except a Certificate of Destruction for your peace of mind. All the shredded paper will be recycled. At Complete Shredding Services we come to you (Greater Sydney from Mona Vale, Hornsby to Penrith & to Sutherland & all areas back to the CBD), shredding your secure paper and recycling it for you. Our other services include security bins, bulk paper clearance, as well as archive box removal and destruction. Contact us to discuss your needs, or click here to obtain an online quote.